Kylian Mbappe is now the second highest-paid player in Ligue 1, while Mario Balotelli has remained outside the top 10 and former Manchester United winger Memphis Depay does not even make the 20 top earners. Tired of reading? Click through the gallery above to see the highest-paid players in Ligue 1, according to L’Equipe. France publication L’Equipe published their annual salaries overview, with Neymar staying at the top with a reported month gross salary of €3.06 million (R47 million). The Brazilian earns almost twice as much as second-placed Kylian Mbappe with €1.73million (R26.7 million). The French wonderkid overtook teammates Edinson Cavani, who completes the podium with €1.50 million (R23.2 million). As many as nine Paris Saint-Germain stars are in the top 10, while AS Monaco striker Radamel Falcao is the only non-PSG star. He receives €750 000 (R11.6 million), which is as much as Gianlugi Buffon. Highly rated midfielder Marco Verratti only appears in joint-14th position. The Italian shares the spot with former Chelsea playmaker Cesc Fabregas, with both stars pocketing a monthly income of €600 000 (R9.3 million). 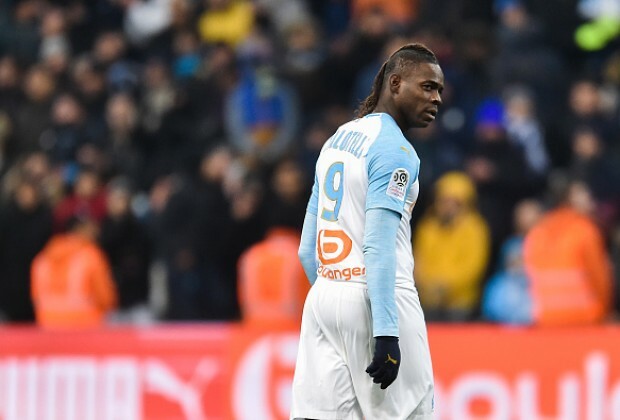 Meanwhile, Balotelli follows in 16th spot after agreeing to a €500 000 (R7.7 million) a month deal when signing for Olympique Marseille. Depay, who left United in 2017, only sits in 23rd position with €360 000 (R5.6 million). Do you think Neymar deserves his whopping salary, which is much highest than what the rest in Ligue 1 are earning? Have your say in the comments section below. PSG own league ,what happened to Lyon,Monaco,Marseille ? Surely he deserve it the is no doubt about it but soon soon Mbappe will overtake him wherther in PSG or in Barca and this is assurance that the is no competition there for them cos you can not earn big salary if u a are cow(in Europe) that means most of the stars who are in the league are playing for one team and if I was their owner or mananger I would not be happy but unfortunately I am not but I can not blame them it is not their fault cos they have to compete with big guns in EUFA champions league.